World Diabetes Day will be celebrated this year on 14 November to help raise awareness of diabetes, and to help promote the importance of screening. Presently, 1 in 2 people live with an undiagnosed diabetes condition. 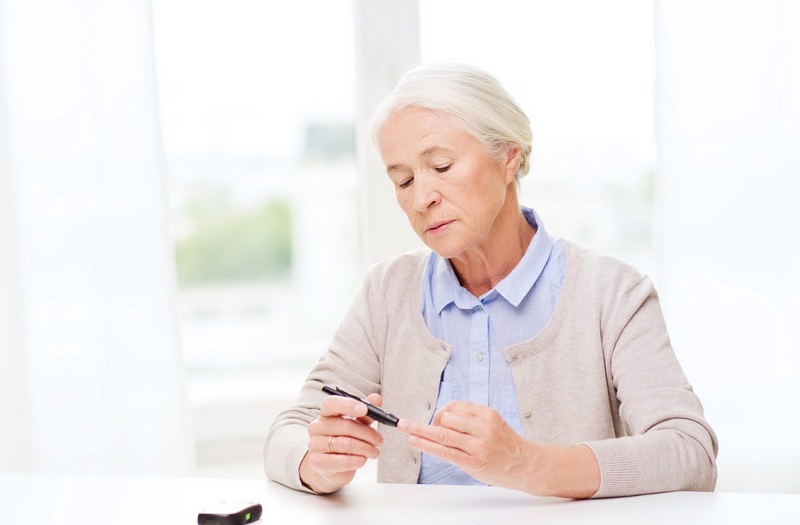 But with better participation in individual screening programs, it is possible to identify more people with undiagnosed Type 2 diabetes, and even those with a higher risk of developing the disease in the future. However, there is one overlooked complication of diabetes and untreated high blood glucose levels – diabetes can put your oral health at risk. High blood glucose levels and the side effects of some medication for the disease can cause a dry mouth. If you have a dry mouth condition, it may indicate a decrease in your mouth’s saliva production. Saliva is essential to clean your teeth and gums, and protect against the effects of oral bacteria. If your blood glucose levels are uncontrolled or untreated, your white blood cell count is also affected. This can compromise your immune response to oral infections and inflammation, and increase your risk of developing severe periodontitis (periodontal/gum disease). Diabetics with periodontitis experience double the rate of periodontal disease progression, and an increased risk of alveolar bone loss. Severe periodontitis can drive blood sugar levels even higher, putting diabetics at increased risk for other diabetic complications. The good news is periodontitis responds well to dental treatment, such as antibiotics and regular dental cleaning, and maintenance of good oral hygiene practices. Research has shown that periodontal treatment of diabetics may result in an improvement in their diabetes condition also. While dentists are not qualified to diagnose Type 2 diabetes, they are among the first health care professionals to recognise symptoms that are not usually associated with typical oral health conditions. But the incidental detection of diabetes symptoms and complications by your dentist, doctor or any other health professional may occur when the disease has already progressed. The key to prevention of diabetes is to take personal action. As part of World Diabetes Day 2016, IDF (International Diabetes Federation) has introduced a new online screening activity. By participating, you can find out if you are at risk of developing type 2 diabetes or diabetes complications over the next ten years. Screen yourself and encourage your adult family and friends to take the online diabetes risk assessment questionnaire also. It’s easy, confidential and only takes a few minutes. Test2Prevent for World Diabetes Day on 14 November. Have you experienced tooth erosion? Clean your tongue for better oral & general health! Watch your mouth…it’s Dental Health Week 2018! What are the treatment options for periodontal (gum) disease? Keep your teeth healthier this winter – with a little ray of sunshine! Be careful what you eat this Christmas – for teeth’s sake! Which Aussie kids are at higher risk of tooth decay?